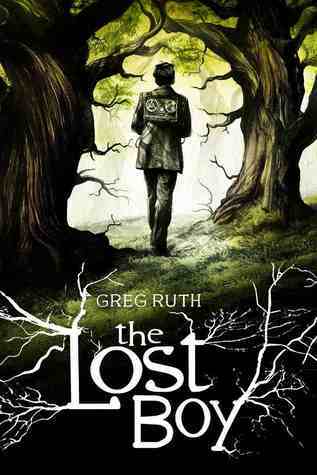 The Lost Boy by Greg Ruth has a fairly basic story. Boy finds artifact and mysterious stranger(s) that lead him to a fantastical kingdom where he must complete his task to save the world. There really aren’t a lot of surprises here unless you’re totally unaware of stories of fairies and magic. But Ruth does add some clever details, from the initial appearance of an old tape recorder (which helps provide an opportunity for exposition through playing it’s old tapes) to the various animal creatures who appear in the story. What really makes this book worth reading is the fantastically dramatic artwork which while almost too photo-realistic in places, is very expressive and just creepy enough to give the book some moments of anxious anticipation and dread. In fact, it’s is surprisingly well crafted as a horror book for younger kids — it’s never really as scary as its artwork suggests but I think scary enough all the same. So despite not being hugely impressed with the plot or characters I was wowed by the art enough that I would recommend looking for it. Ruth is a really good artist and there are some cool visuals in here. I will note with some annoyance though that this book suffers from open-ended ending sequelitis — which is a given when publishers and authors are hoping to craft series of books, but still even that can be handled well or not. Scholastic provided a free copy of the book for review purposes. Next Next post: +1 NYCC Is The Price of Admission?